It is official. Sweden will be sending a team to WISSA 2012 in St. Ignace, Michigan USA. The event - WISSA 2012, will be held 20-26 February 2012 on the bay directly in front of the town situated at the site of one of the oldest settlements of the Great Lakes in North America. The town is connected to the rest of Michigan by one of the longest suspension bridges in the world. Situated at the junctions of two of the world's largest bodies of (frozen in winter) fresh water - Lake Michigan and Lake Huron, St. Ignace, is close to the world famous Grand Hotel on Mackinac Island. Conditions permitting (and this is very likely) the marathon portion of WISSA 2012 will go out to Mackinac Island and back. This area experiences extraordinarily high wind velocities year around, but especially in the winter. So, start planing now. This is the first time in 17 years that WISSA has been held in the USA. There will be 86,000,000 households watching on TV by way of NBC Sports! Do NOT miss this opportunity to get air time for your sponsors. Racing conditions will be excellent. 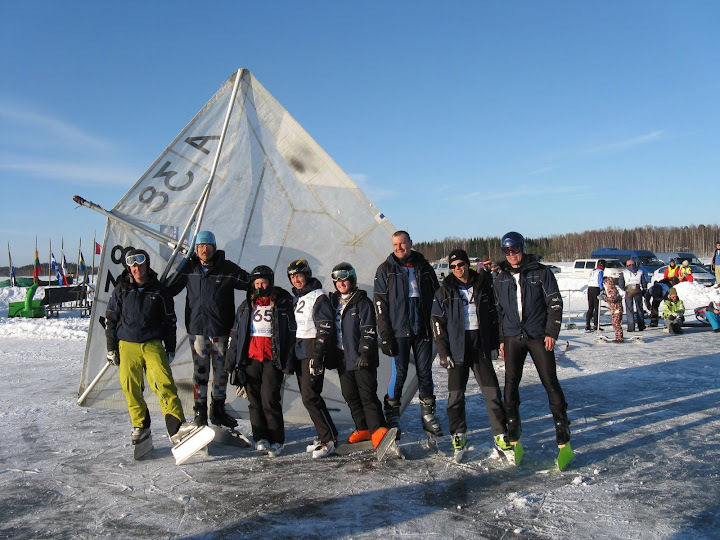 The Short Track Slalom (STS) will be run by the best in the world - Riçards Liepins from Riga, Latvia. Four time race Master Renaud from Quebec will handle the course racing. We are currently working with airlines and local hotels to reduce the costs for overseas travelers. This is going to be an amazing event - See you there!